Electroflotation of finely divided carbon nanomaterials—carbon nanoflakes (CNFls)—from aqueous solutions with a wide pH range of 3.0 to 11.0 in the presence of surfactants of various types was studied experimentally. The efficiency indices were determined for the electroflotation of CNFls from CNFls–surfactant–Na2SO4 solutions in the presence of a coagulant (iron(III) chloride) and flocculants, which enabled one to find the optimal conditions for electroflotation of carbon nanomaterials. Original Russian Text © V.P. Meshalkin, V.A. Kolesnikov, A.V. Desyatov, A.D. Milyutina, A.V. 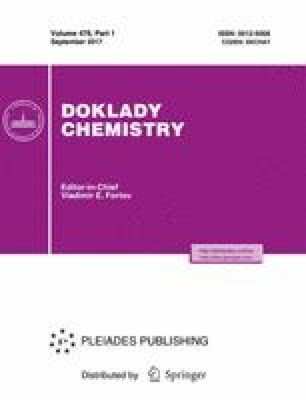 Kolesnikov, 2017, published in Doklady Akademii Nauk, 2017, Vol. 476, No. 2, pp. 166–169.